When the Moors were expelled from Aragon in 1610 Sestrica was left almost empty so the land was leased to people who came from nearby towns. Income from agriculture and livestock was supplemented by that brought by some of those who went to harvest crops in France two or three times a year. Nowadays the climatic conditions are ideal for growing olives, cherries or almonds, first class products mostly cultivated without irrigation. It also provides a great location for outdoor sports and leisure activities and is easily accessible from Zaragoza, the capital of this region. 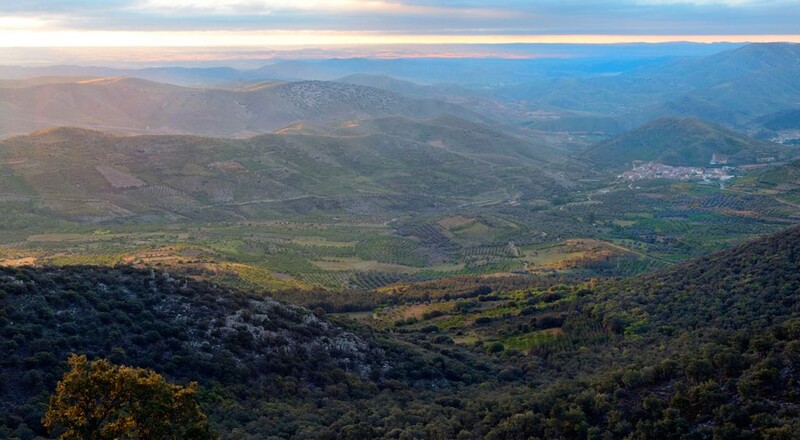 Sestrica is located on a hillside at the foot of the Sierra de la Virgen. While the landscape invites us to look upwards to Peña Guzman or Mount San Cristobal, there are some peculiar spots like the Huerta waterfall below. 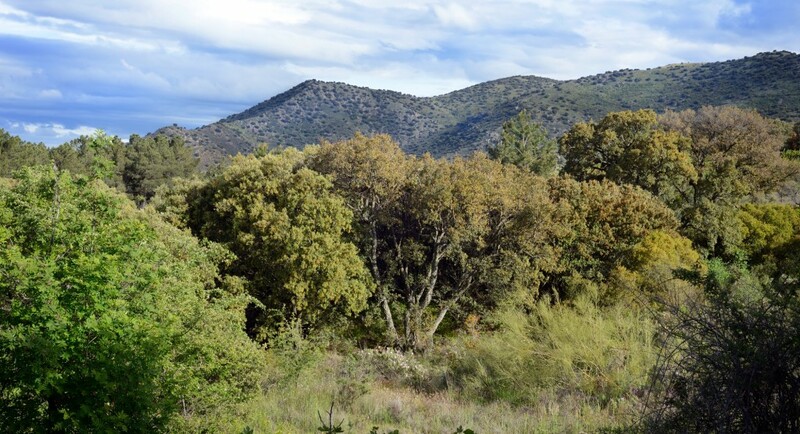 The cork oaks found here are the only ones in the whole of Aragon, which makes them even more special. Don’t miss the Cork Oak of the Prado or the Lone Tree of Viver. In addition, for caving enthusiasts Trampaspeñas pothole is a must. Some historic monuments of interest are the Tower of Urrea, the church of San Miguel, the Sestrica peirones, stone pillars, the Virgen del Prado hermitage, the aqueduct, etc. Not to mention the large number of mills, fountains and ice stores that can be found in the borough. Pottery is an important craft in Sestrica and one workshop is unusual in that it doesn’t use the potter’s wheel. Instead, pieces are made by the warping method, joining several strips of clay on a base. Lots of events and festivals are held in Sestrica. Easter is celebrated on the Sunday of Quasimodo, the Sunday after Easter, when the inhabitants go in procession to the St. Bartholomew Hermitage, and after Eucharist, go on to the nearby hamlet of La Hiedra to have a traditional pie with a boiled egg inside. Good places to eat in Sestrica and the Aranda District? Sestrica and the borough of Aranda with their wide variety of landscapes are ideal for many outdoor activities. These include hiking, water sports, caving, paragliding, climbing and cycling. Sources: Information extracted from www.sestrica.es, www.viverdelasierra.com, www.turismodezaragoza.es, www.comarcadelaranda.com and Wikipedia.